A strong and toned upper back not only looks great; it’s an essential piece of your functional fitness. With the right approach, upper back strength and stability also go a long way toward preventing injuries as well as the banes of modern society: back and neck pain. We will be learning essential exercises for building your upper back, as well as tips and guidelines for getting the most out of the workout, nutritional and cardio tips for effective back muscle development. I’ll also go over tips for fitting upper back workouts into the rest of your fitness plan. We’ll always keep an eye to functional fitness, efficiency, and of course, proper form. There is a right way and several wrong ways to do every exercise, and since the spine and shoulders are especially sensitive areas, we need to proceed armed with education. The muscles we will focus on working include the upper, middle, and lower trapezius, the rhomboids, the rear deltoids, the lats, and the spinal extensors. If all that sounds good, stick with me and we’ll dig into tips and guidelines for working your upper back properly before going over the details of the workout itself. Just knowing the right movements is not enough to get you the best progress. Check out the following tips for doing the workout itself properly as well as overall training considerations to make sure you are approaching weight training equipped with the right information. Here is an overview that you can copy/paste and print out for easy access to the order of exercises while you’re in the gym. The following section will go into detail on how to perform each exercise perfectly. Before you start any kind of workout for the upper back or any other body part, you need to get warmed up. 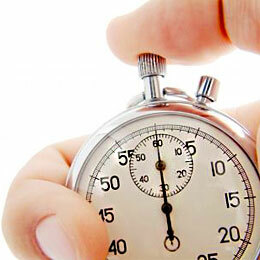 The best strategy is to start off with a five minute general cardio warmup to get the blood flowing. This can be a brisk walk, a light jog, or a five minute session on the elliptical, ARC trainer, or AMT. The purpose of the general cardio warmup is to support your safety and prevent injury by getting your body primed for activity. After you do your five minute cardio warm up, foam rolling the upper back is a great idea and it feels AMAZING! When you foam roll, you increase blood flow and break up tight holding patterns in your muscles. Foam rolling the upper back can make your workouts both safer and more effective by encouraging proper muscle dynamics and flexibility in your joints. Foam roll your upper back by laying on the ground and placing a high-density foam roller under your upper back. Make a little cradle for your head with your hands so your neck can relax. Roll up and down the upper and mid-back, pausing to pay special attention to any muscle areas that feel tender or lumpy. If you are someone who gets tight lats, you can foam roll those as well by rolling over toward the side of your ribcage and targeting the muscle mass running from your armpit down the side of your ribcage. The kettlebell halo is great dynamic warmup to use to transition into the main workout. Grab a small kettlebell, say 5 or 10 pounds. Hold it by its little horns directly in front of your forehead. Draw a halo tight to your head by bringing the kettlebell in a circle around the crown of your head. You’ll need to invert the kettlebell as you go toward the back of your head. Make sure the movement comes from the rotation of your shoulder joints, not from moving your head around the kettlebell. Draw 15 halos in one direction, then switch and do 15 going the other direction. Once you’re warmed up, you’re ready to begin the workout! Let’s get to work building you a strong and sculpted upper back! The prime mover in a pull up is the latissimus dorsi, which sweep from the lower back up the midback and attach to the upper arm bones. Any time you pull something toward your body, you are working your lats. Other back muscles used in a pull up include the trapezius muscles in the middle and upper back as well as the rhomboids, rear delts. They also burn a lot of calories which will help shave off excess body fat to reveal more muscle tone beneath. Not to mention pull ups work your upper arms, forearms, and core! Overall, the pull up is an excellent use of your time and energy during any type of back workout or full body workout. For most women, doing a full set of bodyweight pull ups is out of the question until a high level of training has been achieved. That’s OK! That’s why the pull up assist machine was invented. Most gyms will have one. If not, you can have a friend boost you up from beneath or use a strong resistance band. Grab the handles with an overhand grip wider than shoulder width. Step onto the assist and tighten your core. Visualize pulling from your back (not just your arms) as you sweep your elbows toward your ribcage and pull your chest up to the level of your hands. Lower back down slowly, always keeping the deep shoulder muscles engaged even at the very bottom, such that your shoulders stay “plugged in” to their sockets and don’t get overstretched. Complete 15 reps, rest, and repeat for at least one more set. There are many variations on rows, and the best one for you will depend largely on what type of equipment you have access to. Let’s talk about a couple options. My favorite row variation for improving the upper back is a seated cable row. Not every gym will have a seated cable row, so let’s go over the excellent dumbbell bent over row as well. Whichever row variation you choose, you will not only tone and strengthen your upper back; you’ll also be doing wonders for your posture and reversing a lot of the negative effects of sitting at work and around the house. Use the close-grip handles that allow your palms to face each other. Sit tall and tighten your core as you use your back and biceps to pull the handles toward your belly. Keep your elbows tucked in alongside your body so that they almost scrape along your ribcage. Squeeze your shoulder blades together as if you’re trying to compress a tennis ball between them to complete the movement. Return the handles to the starting position with control, never letting the shoulders overstretch. Do 15 reps, rest, and repeat. Grab a pair of dumbbells and get into the bottom position of a deadlift, weight back in your hips and back flat. Look slightly forward, not downward, to encourage your spine to straighten. Pull your abdominals up and in to help support your lumbar spine. Using your back and biceps, pull the dumbbells up toward your hips, squeezing your shoulder blades together to complete the movement. Use extra muscle control to ensure that you, not gravity, is dictating the return of the weights to the start position. Do 15 repetitions, take a short rest, and repeat. Back flies are the best way to work your rear deltoids, which really help define your upper back area. This exercise is also great for your posture in that it works the upper and midback muscles that, when toned, will pull your shoulders into proper alignment. 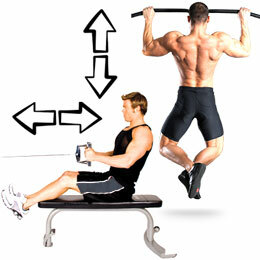 The easiest way to do a back fly is to use the machine which is found in most gyms. Some brands call it the “rear delt” machine but it’s the same thing either way. Start with a light weight; these muscles are not super strong and usually start out underdeveloped if you haven’t trained them before. Grasp the handles with an overhand grip and keep a tiny bend in your elbows and push them backward. Make sure you keep your core tightened and avoid pushing your head forward. Consciously use the muscles right behind your shoulder joints (those are your rear delts) as well as your trapezius and rhomboid muscles to squeeze your shoulder blades back and down. Complete 15 reps, rest, and repeat. Shrugs directly address your upper trapezius muscles that run from you neck toward your shoulders. Shrugs are not for every woman; if you’re like me, you build upper traps by accident and they don’t need extra attention. However, if yours could use some attention, by all means do shrugs. Many people find them beneficial and to add a nicely sculpted look to the neck and shoulders. The shrug is not a huge dramatic movement. Start light and go slow. Grasp a dumbbell in each hand and hold them at your sides. If preferred, you can also use a barbell as shown in the video demonstration. Stand tall with your head in alignment with your spine, your shoulders back, and your chest up. Keeping tall posture and never allowing your head to “turtle” forward, squeeze both shoulders upward and pinch your scapulae together. Do this in a mirror so you can carefully track your form. Lower them slowly and with control. Complete a set of 15, rest, and repeat. Once you have complete all your sets of the main exercises, finish strong with a Stability Ball Cobra to fully fatigue your upper back muscles. Stability Ball Cobra also involves a back extension, which is great for toning and strengthening your low back when performed correctly. Work with a stability ball of a size such that when you sit on it, your knees form a 90 degree angle. Put your toes on the bottom corner where the wall meets the floor for traction, and lay your upper thighs and belly on the ball. To begin, allow your upper body to drape forward over the ball toward the floor. Squeeze your glutes together and tighten your core as you lift your chest and belly up off the ball, sweeping your arms up and behind. Open your shoulder joints and hands outward so that your palms go out and “thumbs up”. Similar to a row or a back fly, to get the most out of the movement, squeeze your shoulder blades in toward your spine at the very top of the movement. Return to the starting position and repeat for a set of 15 lifts. Finish with a 15 second static hold in the top position. Rest and repeat for at least one more set. If your sets prove too easy using body weight, try holding dumbbells in your hands. Start with 3 to 5 pounds. 1.) Work your upper back three times per week as part of a full body routine. Make sure you also include a workout for the chest and for the lower body on full body days. 2.) Work your upper back twice or three times per week as part of an upper/lower body split (if you’re unfamiliar with split routines, it’s when you work different body parts on alternating days to allow you to keep your overall workout volume high while allowing enough rest time for specific muscle groups). If you’re doing this type of split, include workouts for the chest and the arms. 3.) Some exercisers love doing a “push-pull” split. If this is you, include the upper back workout twice a week on “pull” day when you are doing your pull ups, deadlifts, and other exercises for the posterior chain (the structures along the back side of your body). General cardio guidelines for healthy adults are as follows: for general cardiovascular health, well-being, and weight maintenance, shoot for 90 minutes of moderate to vigorous cardio per week. 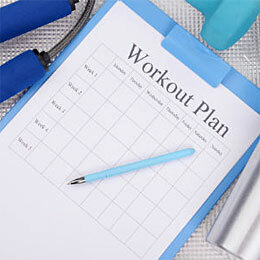 For weight loss, elevate your minutes to at least 120 to 150 minutes of moderate to vigorous cardio each and every week. It works best to spread your workouts out into 30 or so minute chunks throughout the week rather than one or two marathon sessions. So even if upper back building is your number one goal (and I’m guessing that it’s NOT your number one goal but a part of the picture), you’ll still need to do at least 90 minutes of cardio just for your health. If you have excess body fat to lose, do more minutes to trim the fat down over time and reveal the muscle tone underneath. A type of cardio that works well integrated throughout the week is the rowing machine, also commonly called a Concept 2 or Erg Rower. While this machine will elevate your heart rate, which is great in and of itself, it will also directly strengthen and tone the muscles in your upper, middle, and lower back. Don’t do all your cardio on the rower; it’s best to do most of your cardio in a standing position so that your burn the most calories and your hip flexors and quads don’t get too tight. However, consider adding 15 to 20 minute rowing sessions a couple times a week, especially on upper back workout days. Light rowing can be used as an upper back warmup and more vigorous rowing can be used as a cardio workout and upper back strengthening strategy. Building muscle is a hungry activity. For effective muscle gain and muscle strength development, you need to feed your body with the right fuel. A main consideration is your protein intake. When you are lifting weights regularly, your muscles are getting damaged and need a high protein intake to rebuild and recover. An easy way to make sure you get ample protein is to shoot for one gram of protein per pound of lean mass (everything in your body EXCEPT the fat). If you know your body fat percentage, you can easily calculate your lean mass. For example, say you weigh 150 pounds on the scale and you have 25% body fat. That means that you have 37.5 pounds of fat, therefore, the rest of your lean mass weighs 150 – 37.5 = 112.5 lbs. Using the 1g protein per 1lb body weight, you would need to aim for 112 grams of protein per day. Working with my general fitness (non-bodybuilder) clients, sometimes that much protein can be a bit of overkill. I will usually recommend 80% of that. Using the above example, 80% of 112.5 = 90 grams. So our hypothetical person who weighs 150 pounds and has 25% body fat would likely do quite well with 90 grams of protein per day. Good sources of complete protein include lean meats such as chicken and turkey, fish, greek yogurt, rice/beans and quinoa. If you don’t know your body fat percentage, you should get it checked! It’s a much more helpful metric than just your scale weight. Scale weight does not take into account muscle gain versus fat loss; it’s only looking at the pull of gravity on your total mass. Any personal trainer will be able to check your body fat percentage, or your can purchase a handheld body fat loss monitor for under $50 from a brand such as Omron. I hope you now feel confident and capable of working your upper back safely and effectively. Did I miss any of your favorite upper back exercises or upper back building tips? Do you have any questions on any of the exercises? Let us know in the comments below!